Hacking does occur online most of the time, but with technology advancing so rapidly, so are hackers. 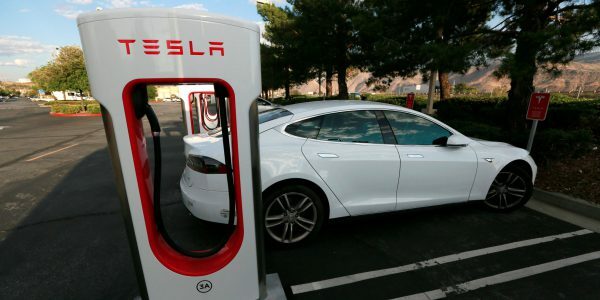 They can get into ATMs, smartphones, and now Tesla cars by replicating a key fob! Tesla Model S has security restrictions for driving systems to ward off cyber attacks, but was hacked into in less than two seconds! Computer Security and Industrial Cryptography (COSIC) group have managed to break the encryption used in Tesla’s Model S wireless key fob and replicate the fob. These key fobs typically work the same, and the Tesla Model S is no exception. These fobs send an encrypted code to a car’s radios to trigger it to unlock the doors, enabling the car to start. COSIC made a 6-terabyte table of all possible key combinations of code pairs. They capture the required codes with a Yard Stick One radio, a Proxmark radio, and a Raspberry Pi mini-computer. These cost about $600 in total which isn’t too shabby for a Tesla Model S.
With their table and two required codes, COSIC was able to calculate the correct cryptographic key to spoof any key fob in just a matter of seconds (1.6 seconds to be exact). COSIC has brought this to Tesla’s attention a year ago. Tesla addressed the issue in June 2018 by upgrading the weak encryption as well as an optional PIN for an extra layer of protection. The researchers received a $10,000 bounty from Tesla and will have their names added to Tesla’s Hall of Fame.